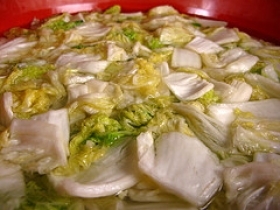 Have you made Cabbage And Then Some? 1. 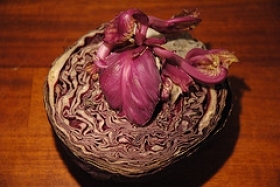 Cut cabbage into quarters, cutting out the core. 2. Discard the cores. Clean the leaves thoroughly. 3. Put into pot, cover with water and boil until almost tender. 4. 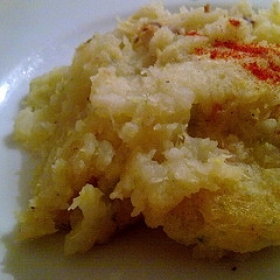 Drain in a colander and then chop, not too small, but bite size pieces. 5. Put aside. 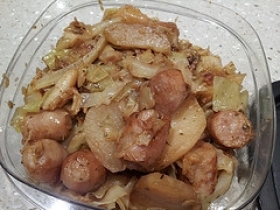 Chop onions; fry in a little oil until tender, first the white onion, the white part of the green onions and last the green part which should not be fried long. 6. Add the tomatoes and fry down a short time. 7. 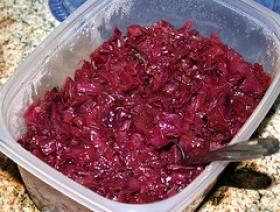 To this add hot water (about 1 cup), 1/2 can corned beef and cook about 20 minutes, stirring periodically. 8. 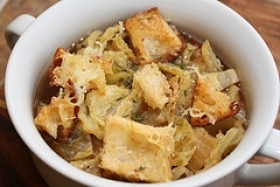 If more gravy is needed, add the amount of water needed to cover the cabbage when put into a casserole. 9. Butter an oven dish. 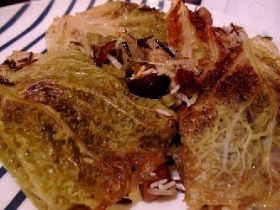 Alternate layers of cabbage and corned beef gravy, finish off with the corned beef (remaining half), broken into pieces and then Italian bread crumbs. 10. Bake long enough to brown the crumbs in a 350 degree oven. 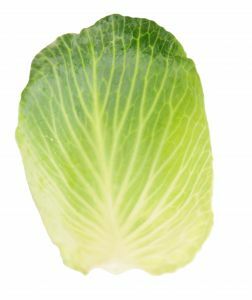 This recipe contains potential food allergens and will effect people with Wheat, Gluten, Tomato, Cabbage, Spring Onion, Garlic, Beef, Onion allergies.